This 70 acre park on the scenic Astoria waterfront, gently slopes to the East River between the Hell Gate and Triboro Bridges. Offering a dramatic view of the Manhattan skyline, tourist and resident alike are impressed with its setting at any time of day in every season. From quiet family picnics, to concerts attracting thousands, the park is the premier outdoor facility for our community. The park contains an Olympic sized swimming pool and solar heated bathhouse. 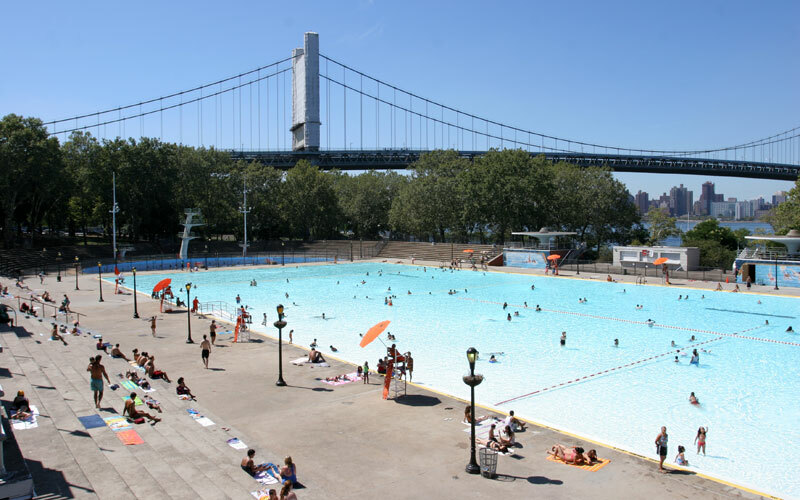 Astoria Park Pool, with Triborough Bridge. 5 September 2005. 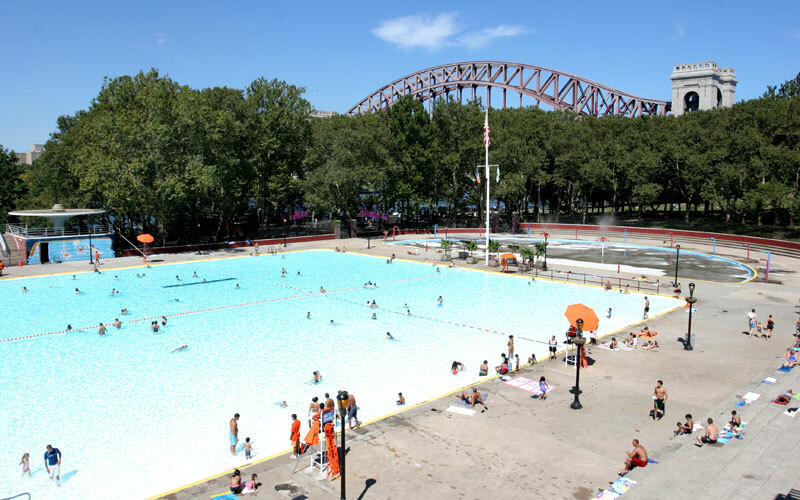 Astoria Park Pool, with Hell Gate Bridge. 5 September 2005.